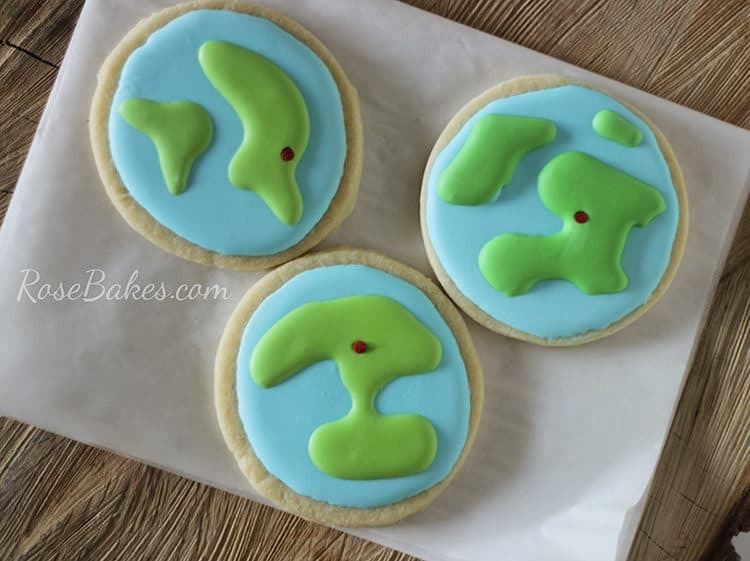 Today I have a cookie story for you. A story about that moment when you find out a famous cookie decorator will be eating your decorated cookies and you cry. I don’t know when I started reading Kristen’s blog or why… I honestly can’t remember what brought me there, but I know I had already been reading for quite some time when she ventured off to Africa and then came home changed. I watched through her blog as God changed her heart, gave her a vision, then opened door after door for her and her family to walk in obedience to that calling. I cried along with her many times as Mercy House was born. And now, for almost 6 years (since late 2010), my husband and I have been supporters of Mercy House. It started with a $3 per month donation … $3 on the 3rd of every month to help the 3 girls who are raped every 45 minutes in Kenya. Through the years, our love and support for this ministry has grown. 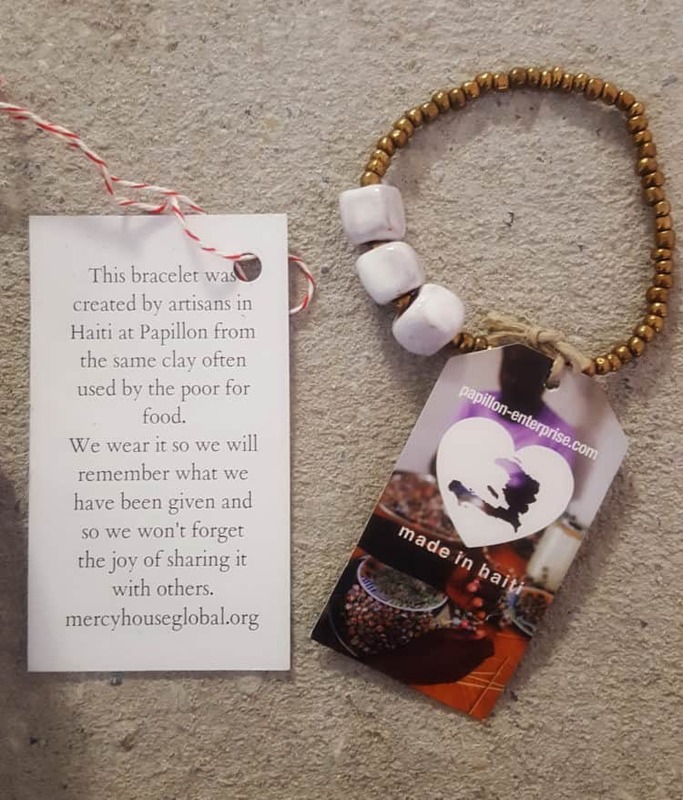 I’ve found myself asking my husband if we could give more each month, then I signed up for Fair Trade Friday (the original box and earrings) … and we got a bracelet kit for our little girls at church in GA class to make and sell bracelets to help raise money and spread awareness. Through all of that, my respect and admiration for Kristen has multiplied again and again. At some point in these 6 years we became friends on Facebook and she became a regular name in my prayers as I’d read her updates. Seeing how much she and her family have sacrificed and how deeply she hurts for those she’s helping – it’s caused a deep ache in my heart and in my gut. It is humbling; driving me to be better, do better, help and give more. Then a few months back, out of the blue, she asked a favor from me. Each year for the past 3 years (I think?) they’ve planned and hosted a Mercy House Gala as one of their big annual fundraisers. 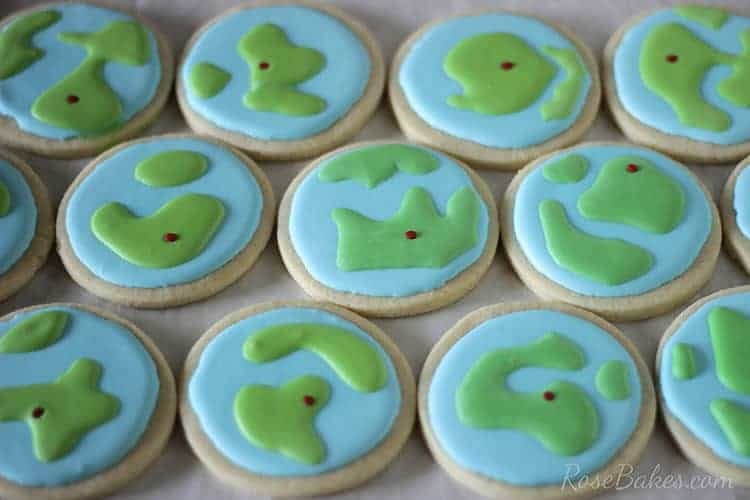 She asked if I’d be willing to bake and decorate 300 cookies for the event to place at each place setting. Me? Really? My first thought was “why me? I’m a nobody and I’m really not great at cookies”, but I was so honored and excited to be asked that I immediately told her YES. 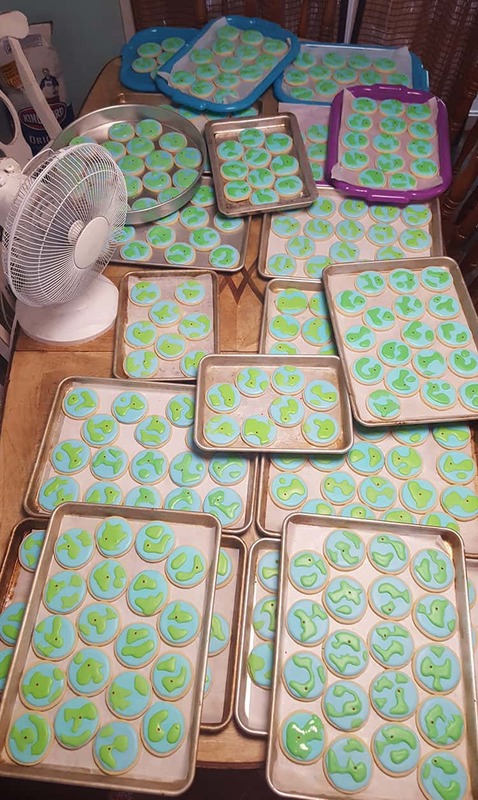 I might have had a moment of “what was I thinking?” a few minutes later when I thought about actually doing 300 cookies, but overall… just excited! I also mentioned to Kristen that I’d really love to deliver the cookies myself vs. shipping them (mostly because of all the extra time and money it would take to individually wrap 300 cookies to make them safe for shipping and then I knew I’d still stress over them getting there in one piece). She surprised me by saying she’d love that and asking us to come to the gala and offering a seat at her table. Again… I was SO excited. I asked Richy if he could get off from work and when he found out he could, we made our plan to go! 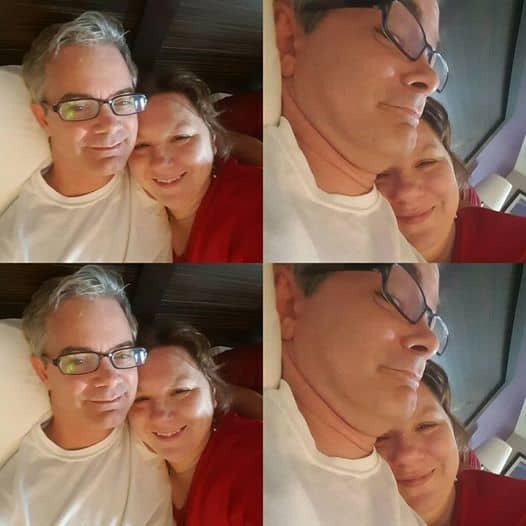 We decided it would be our belated anniversary trip (having just celebrated 20 years of marriage in late August) and we’d spend the weekend there and leave the kiddos at home. In the meantime, I had a this nagging question and fear in the back of my mind. I knew from reading Kristen’s blog that she used to be next-door neighbors to Bridget from Bake at 350. She’s another blogger I’ve been following forever and I own both of her cookie books. I wondered two things… a) why would Kristen ask me when she knows Bridget? (I’ve learned since then she doesn’t actually do any orders anymore) and b) could I possibly do a good enough job considering that Kristen has had Bridget’s cookies many, many times? I’m a lot of things but I am not a Bridget. Anywho – pushing the fear aside, I tried to stop worrying about it. Excitement beat out my fear!! Fast forward to this past week and it was time to bake and decorate the cookies. Having never done an order for 300 cookies, I had my son Noah make the sugar cookie dough the weekend before and freeze it. Then on Monday night I put it in the frig to thaw and on Tuesday, we baked 313 cookies. 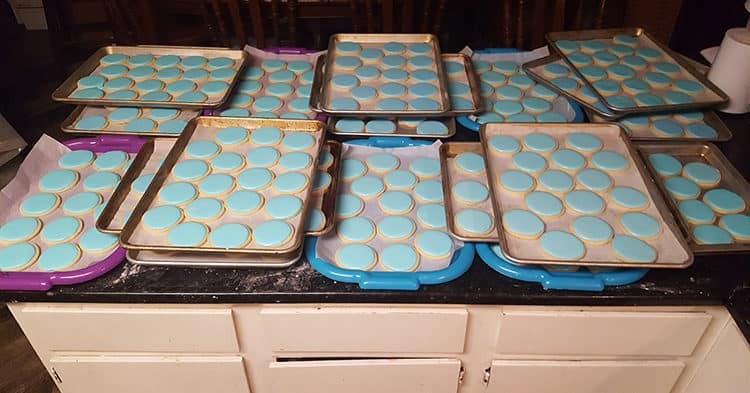 I won’t go into all the details, but Wednesday night I decorated with the blue royal icing until 3am, then Thursday morning my daughter and I finished up with the green icing and red dots; then we put a fan on them to dry. PS. I’ve mentioned this before but I’ll mention it again… while I work from my small kitchen at home and do not have employees in the traditional sense, I do have help! 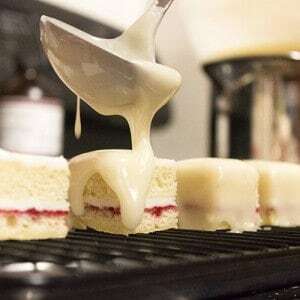 I homeschool our kids and I pay them to work for me in my cake business. It teaches them work ethic and money skills (saving, spending, earning, paying tithes and taxes, etc.). 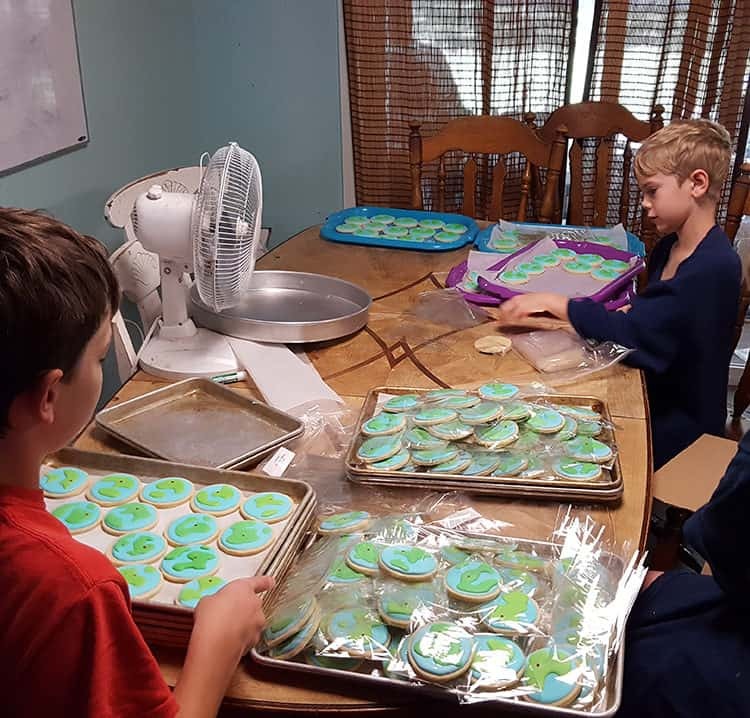 For these cookies, Noah made cookie dough, Caleb made royal icing, Sarah helped with decorating, and then those 3 kids plus Christian helped bag them up. Let me stop here and also say… the cookies were not perfect. Since I don’t do cookies all the time and never in that quantity or til 3am and I had help from my 13 year old daughter, some of them looked rough. Some batches of icing were a little too runny and I didn’t realize until it was too late and the icing had run off some edges. I had to clean them up by scraping and re-piping and well, some were messy. Some edges were blue. The globes weren’t all round and I was sad. I really wanted them to be perfect and they just weren’t. But because of the time frame and need for sleep – there just wasn’t time to redo or bake more so I had to do the best I could and move on. And pray. I prayed a lot! 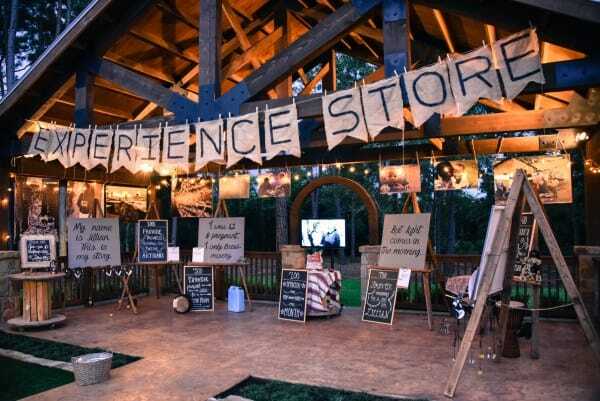 To make a long story short – the weekend was phenomenal (and not that it was a big deal, but the cookies were a big hit!). Kristen and her family are the kindest, most genuine, down-to-earth people you’ll ever meet. Their passion and excitement over what they’re doing is contagious and we were more convinced than ever that we want to continue to support Mercy House any way we can. The last thing I wanted was for a cookie blogger and author to eat my cookies and see my (lack of) cookie decorating skills. I seriously left there feeling sick. We had to stop at Walgreens for snacks and while standing in line, I started crying. In Walgreens. OVER COOKIES. I was so freaking nervous. I got back to the truck and told Richy I wished we had just donated them anonymously and shipped them. I couldn’t stand it. Then when we were chilling in the hotel room before the gala (he was watching college football – I was trying to not panic), I asked if he thought I could get to the gala early and find out which table Bridget would be sitting at so I could put all the best cookies on her table. He laughed. Go through all 300 cookies, pick out the very best ones just for her table?? YES. He thought I was kidding. I was not! I must be crazy right? I promise I’m not a dramatic or crazy person (most of the time), but I really sort of lost it. Thank goodness, Richy talked me down a little and I eventually just accepted the fact that I had no more control over the situation. Bridget would get a good (cute) cookie or a bad (messy) one. Most everyone else there wouldn’t even notice all the flaws that I saw and it would be fine. And if nothing had gone terribly wrong with my sons making the dough and icing, I knew the cookies would taste good (that’s paramount, right?). I had done them because I love Mercy House and after everything else… they were just cookies. Right? And the cookie drama aside (the drama that was just inside my head, mind you), the whole weekend was so inspiring and overwhelming and amazing. Richy and I enjoyed each other. We loved the gala. We had fun on the road trip. My one disappointment? I could just kick myself for taking so few pictures over the weekend. I truly didn’t snap more than 10 total pictures and they weren’t even good ones. I guess I was just trying to be “in the moment” so much that I forgot to take out my camera. 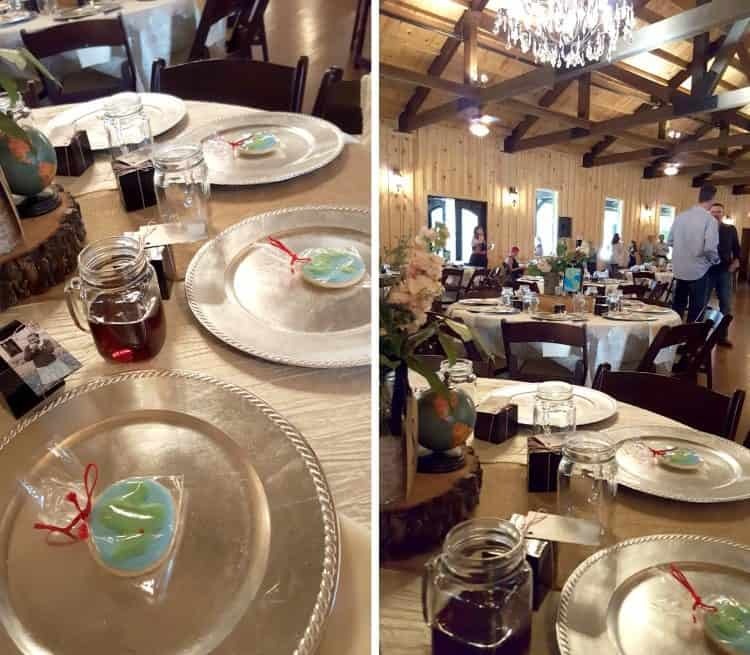 The only pictures from the gala were those two above with the cookies on the plates. That’s it! Ha! Do you see the pink arrow? That’s me… hahaha! But really – it was a packed house! The venue was beautiful and the entire night was inspiring. Back to the cookie thing… let me finish this one last detail. When we finally got to the gala that night and saw Kristen, she asked if she could introduce me to Bridget. Um, NO. That was what I said in my head. I might have even said it out loud!? I don’t know… but I did finally agree to meet her and I’m so glad I did. She was funny and gracious and way too kind to be anything but complimentary about the cookies. Which just made me feel a million times better. I wish I had gotten a picture with her too, but as stated before … I just can’t ask anyone to take a pic with me. I always feel silly and cheesy asking so I just don’t. However, I do have proof that she had my cookies… check it out – she posted on Instagram 😀 How cool is that?! Okay… so seriously, it was an amazing weekend. I’m so glad I had the opportunity to do this tiny small thing for Mercy House. I’m so glad I got to meet Kristen and Terrell and their kids and see the work they’re doing up close. I’d do it all again in a heartbeat (except next time maybe I would find out which table was Bridget’s and give her all the prettiest cookies because I’m shallow like that 😉 ). So that’s that. Forgive me for all of my rambling, but I tend to do that when I’m excited! Please read more about Mercy House Global here, be sure to watch the video above, check out their website here and begin to follow Kristen’s blog. You can also support them with monthly donations and/or by signing up for their Fair Trade Friday Box or their Earring of the Month or Bracelet of the Month clubs. I have been getting the Fair Trade Friday boxes and Earrings of the Month for quite awhile now and I love, love, LOVE them! You are such a pastry inspiration to me and my 11 year old budding cupcaker. Thank you for always sharing your truth. I’m going to check out Mercy House right now. Rose, I want to buy several bracelets just like this one with the card. I want to help spread the word! Where can I buy them? I read this on my midmorning homeschool break. And I bawled. All your fear—I’m right there in it over something completely different. I had declared yesterday a writing day to work on the book I’ve been writing forever. My husband sends me a text that says, “You’re my favorite writer.” At which point I confessed that instead of writing I was in the bed in the middle of the day watching Netflix because writing is too hard and I’m scared that I can’t do it and I’ll never finish this book. Fear made me break up with my agent. Who does that?! I’m 50 years old, raised 5 kids, homeschooled them all, and have an advanced seminary degree. Why am I afraid? What am I afraid of? 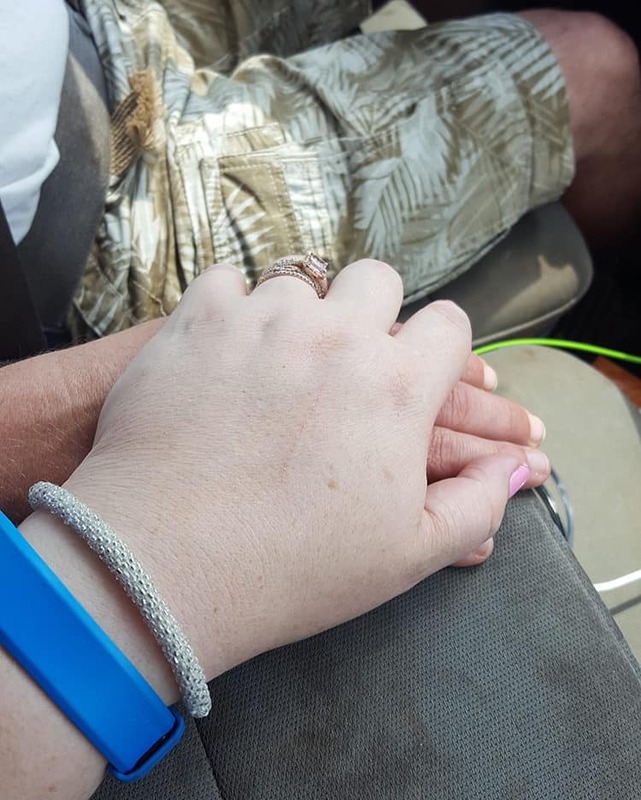 Your post and Kristens story (I’ve followed her forever, too) has helped me today. I going to keep pushing through my fear. Thank you for sharing so transparently!! NOPE. Delete. You are a GIFT. What a wonderful blessing for you! I’m so proud of you and your family! They are beautiful cookies and you have nothing to be embarrassed about! Congratulations! 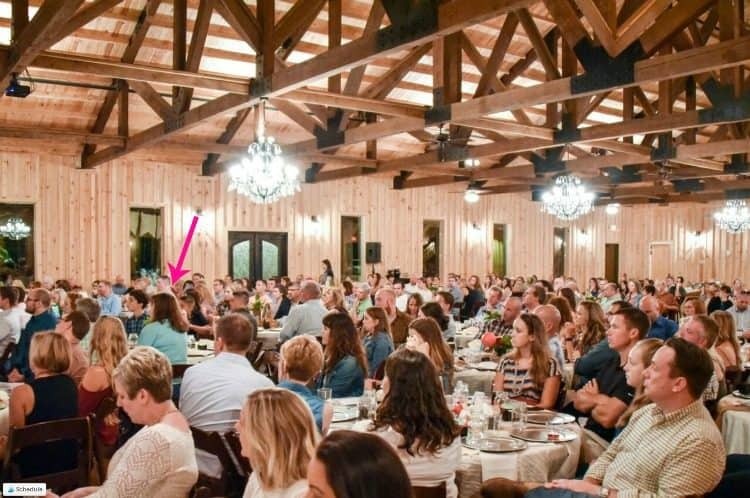 I sat at Bridget’s table at the Gala. My cookie was beautiful and delicious! Thanks for all your hard work to make the night just a little more special.